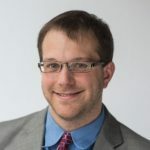 This Q&A is part of a new GovLoop series called “CIO Conversations.” Through 2018 we’ll feature conversational interviews twice a month with current and former federal, state and local chief information officers to get to know the people behind the titles. You’ll learn about the perks and challenges of their job, how they ended up in their current position, what’s top of mind for them, how they’ve rebounded from setbacks and more. Scott Howland wears two hats for the California Highway Patrol (CHP), working as both its CIO and the chief of its Information Management Division. It’s a journey that began 27 years ago after Howland joined the patrol upon exiting television news. 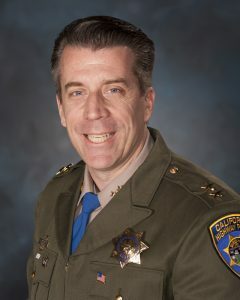 Howland discussed modern technology and workplace culture with us as he oversees the CHP’s computer crimes investigations, communication centers, IT, statewide radio, support services and telecommunications. GovLoop learned that the Advocate award fits Howland well as he’s a tireless cheerleader for the CHP. Howland repeatedly stressed the value of cooperation and positivity during his talk with us. Despite nearly three decades of public service, it’s clear he remains enthusiastic about helping citizens. GOVLOOP: Let’s start with the hardest question of all – what is your job title, and what does it mean? HOWLAND: I’m Chief of Information Management Division for the California Highway Patrol, and I’m also the CHP’s CIO. Probably the best way to describe it is I get to handle technology for the CHP. I have the traditional IT responsibilities that CIOs have. I also oversee our telecommunications section. As a statewide law enforcement agency, we have a statewide radio system, and that’s a significant job role that is important for our communications. I additionally oversee our communication center support section, which oversees 25 communication centers across California. That’s where we answer 911 calls and dispatch our officers to the public that needs help and/or service. I next oversee our support services section that is responsible for collecting all traffic collisions that occur in California and entering that information into the statewide integrated traffic record system. Finally, I oversee our computer crimes investigations unit, and we are responsible for investigating any cybercrime against California’s state-owned IT resources. CHP CIO and Information Management Division Chief Scott Howland. GOVLOOP: How do you go about ensuring that there’s no down times or drops, and that people understand the technology that you’re giving them? HOWLAND: It’s a team effort. I have an amazing team of people that I work with. They are amazingly committed to ensuring that the CHP can operate 24/7 and that the technology works. Ultimately, our folks are providing service at the front line, whether that be an officer in a patrol car or a dispatcher answering a 911 call. They’re able to do their job and not worry about the technology. It sounds like you’ve focused much of your career advancement around that leadership piece while keeping technology in mind. Why did you do that? HOWLAND: When I look at trying to introduce new technology, you always have a vendor. What I’ve tried to do is to develop a relationship with a vendor, rather than make it a transaction. Ultimately, buying a piece of equipment does me no good when the box arrives. I need a piece of equipment that’s installed, that’s being used, that is functioning effectively and has ongoing support for that technology. Is that going to enhance the mission and provide tools to employees across the state to help them become more efficient and more effective, which gives them more time to provide service to the public? Or is it going to be something that slows down a job, and makes life more difficult for our employees, which would do the opposite? And I think when you look at technology, there’s always the change of mindset where you ask, ‘Are we going to have to change a process to accomplish our goal?’ Hopefully, that process change makes things easier rather than more complicated. It’s helping people understand the mindset of how we should make the process easier, rather than always doing it the same way. It’s interesting to help people move through the process of asking if the way we’ve been doing it the best way, or if there’s a better way that’s going to be quicker, more efficient and helps us get the job done easier. GOVLOOP: How did you get into this line of work? HOWLAND: That takes the story back many years. Before I joined the CHP, I was interested in computer programming. I started computer programming in junior high school. Then I became interested in radio and television production, and, while I was going to college, I worked in television news. It wasn’t in front of the camera but behind it. I helped coordinate and dispatch reporters to news stories, coordinate live shots, and I became an associate producer, editor and photographer. When I was working in news, I noted something. I noted that we were just taking pictures of other people doing things. I wanted to be involved in serving people and saving lives personally rather than watching other people do it. I gave some serious thought to what I wanted to do, and law enforcement caught my eye because I figured there’s always things I can do to help people. That’s been true. I started my career with CHP 27 years ago driving a black and white patrol car in downtown Los Angeles. One aspect of the job I still love is helping people. The side of the freeway is a scary place for your car to break down. To have a CHP officer show up, aid and get people on their way, it provides them a huge relief. It provides me joy knowing that I’ve helped people. Sometimes you’re helping people in a terrible time, whether it’s involvement in a serious crime or a serious collision. It’s knowing that you’re making a difference and really helping people and saving lives. When I look at my job from the technology standpoint, it’s how can I help our folks have more time to do what they need to do? I’m in public service because I love helping people. 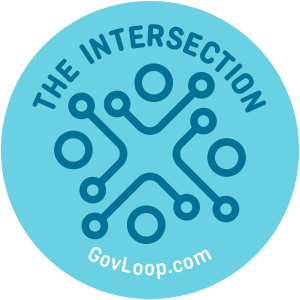 GOVLOOP: One of our missions is sharing great government stories like yours with the public as well as with other federal, state and local government employees. What do you wish the public better understood about the way government works? HOWLAND: I think sometimes the government gets a bad rap. It would be nice for the public to understand how many committed people there are working hard every single day to ensure that government can provide public service to the people. It’s interesting when you look at an organization like the CHP. Most people think of a black and white patrol car with an officer out there providing service. But when you look at the CHP, there’s over 3,500 people in the background ensuring that those officers can perform that service. When I look at my dedicated staff that provides IT, ensures radios, telephones and all our communications modes work, those are all people that the public never sees. If those people don’t do their job, the officers will be unable to do their job. It’s amazing when you look at the commitment of the staff in the background, and how they contribute every single day to public safety here in California. GOVLOOP: Is there anything that we didn’t ask you about that we should have? HOWLAND: When you look at the CHP – and even when you look at government – it’s all about teamwork. Government doesn’t operate in a vacuum, and the CHP doesn’t operate in a vacuum. We work closely with many other government agencies, with many nonprofits and with many organizations to ensure that we can complete our mission. It’s amazing when you look at the amount of coordination that goes on in the background to get the job done.